This power can only be used when it's dinner time. Order two pizza's. Throw them at the enemy. Attack 2 : How you doing? 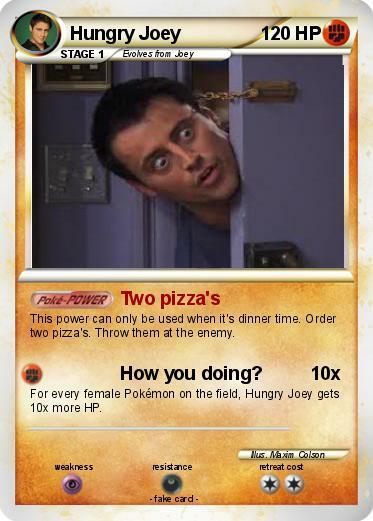 For every female Pokémon on the field, Hungry Joey gets 10x more HP.